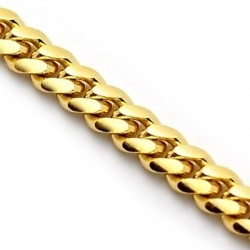 Miami cuban link chains are thicker than the average variety. 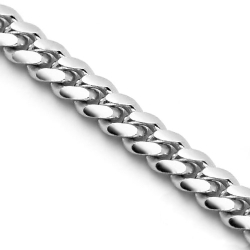 They have a unique interlocking pattern that makes even the thinner links look more substantial when they are connected together to form a chain. 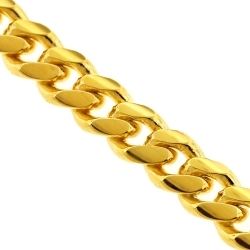 Like other types of mens gold chains, these come in a variety of types of gold, both 10K and 14K yellow gold, pink or rose gold, and white gold. 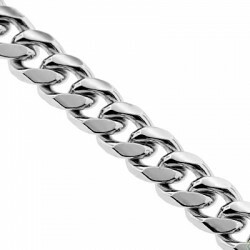 You have seen these designs on many hip hop stars, athletes and other celebrities. 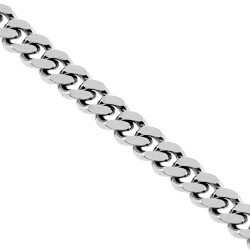 Usually, this type of necklace is looking great combined with a matching pendant. 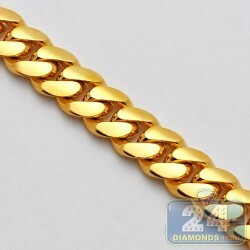 Miami cuban link chains are very durable and normally, last for a lifetime. 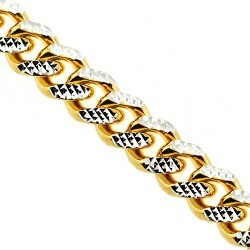 At 24diamonds.com we are proud to offer the largest online collection of these necklaces for any taste and budget, and more than that, we accept custom orders for 18k, 20k, 22k and 24k gold miami cuban chains of any length and thickness. All the jewelry is secured with the safest and user-friendly lobster claw or box clasps. 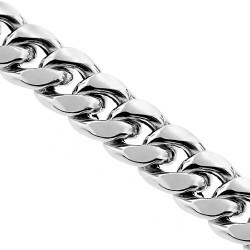 Our highly polished smooth finish, that gives a necklace brilliant lustre, will amaze you! 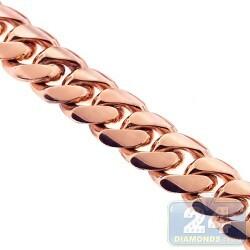 $16,758.00 CUSTOM ORDER. 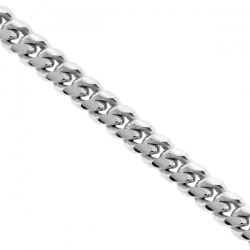 SHIPS WITHIN 2 WEEKS.